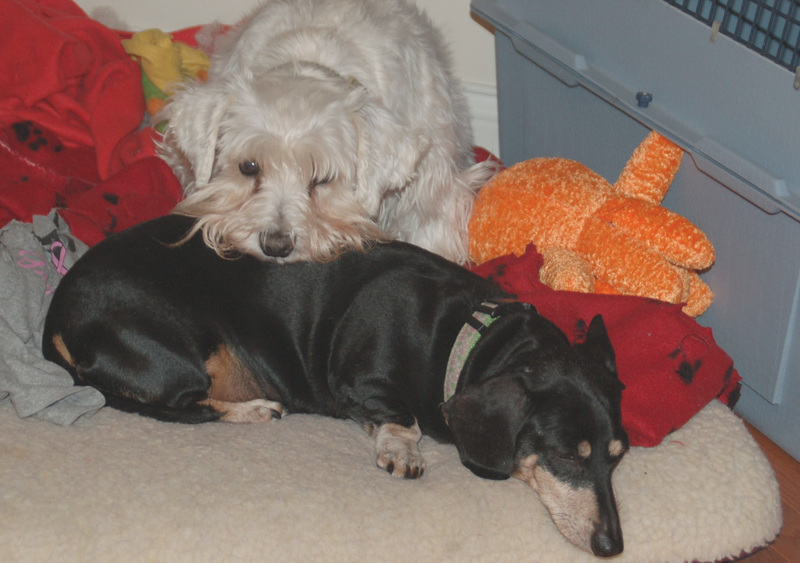 Hope, miniature schnauzer, and Windy, mini dachshund, want all the ice to melt. The crazy Ohio weather is befuddling my furkids. The ice from yesterday melted last night, but high winds are re-freezing what is left. We have a ramp down the back steps to make it easier for the wiener dogs, who do not have back problems. The ramp was clear this morning. Last night I scattered some pet friendly ice melt. Hope, skeptical because I think she remembered falling yesterday, went first. She got to the yard and found ice over snow. She took care of her business and galloped up the ramp. Jake and Windy went out at separate times, and both did the same thing. Each wiener dog was annoyed with the ice over the snow and 40 miles per hour wind, so they pottied under the ramp. For Jake and Windy, being low had its advantages this morning. This entry was posted in Dachshunds, Dog Behavior, Schnauzers, Waste Management and tagged Dachshunds, Dog Behavior, poop, Schnauzers, Winter. Bookmark the permalink.